Plant-based protein powders like RAW Protein Isolate have been growing in popularity over the past few decades, which certainly is a great thing for a vegan-protein powder enthusiast. More demand for quality vegan protein means more brands competing for sale. This eventuates to better prices, more diverse brand and flavour ranges, and more ... It's astounding how good protein derived from the humble legume and rice grain really is. And it all comes down to amino acid profiles and processing methods. That's what literally makes or breaks a protein supplement. Fortunately, much has been studied in clinical trials to ensure that these proteins do what we want them to do. Scientific research is emerging rapidly in support of plant-based protein powders, and the results are looking quite miraculous. This would surely put a smile on a cow's face somewhere! One research paper in particular examined the difference between whey protein isolate and rice protein1. The authors concluded that there was a non-statistically significant 6.8% difference in blood amino acid levels between the two, in favour of whey protein. However, blood leucine levels were actually elevated faster with the rice protein product. So, realistically, to achieve the same quantity of amino acids you could simply adjust the dosage of rice protien to include 6.8% more rice protein powder than you would whey protein. This would equate to a 32 gram serve instead of a 30 gram serve. But that's if we were just talking about a pure rice protein product. Remember, Raw Protein Isolate contains a blend of plant-based proteins. Another study investigated pea protein, comparing muscle mass gains to whey protein2. They found that pea protein and whey protein were as effective as each other in promoting muscle growth in reponse to exercise, which were both more effective than placebo. To be more specific though, pea protein was actually 4.6% more effective than whey protein, though this small difference in research is considered scientifically irrelevant (statistically non-significant). Though your goal may not be to promote muscle growth, research like this can be used as a marker of the quality of the protein, as only high quality protein sources, with adequate amounts of essential amino acids, will be able to elicit this effect. Sometimes it can feel like stress has taken over our lives. 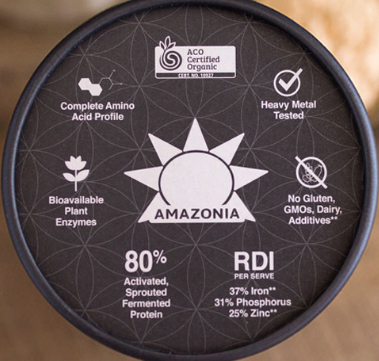 This is often why so many are looking to keep their general health boosted, with products like those in the Amazonia range. With constant stress and elevated cortisol levels, you lose that natural high that life has to offer. This why taking charge of one's own health is important. 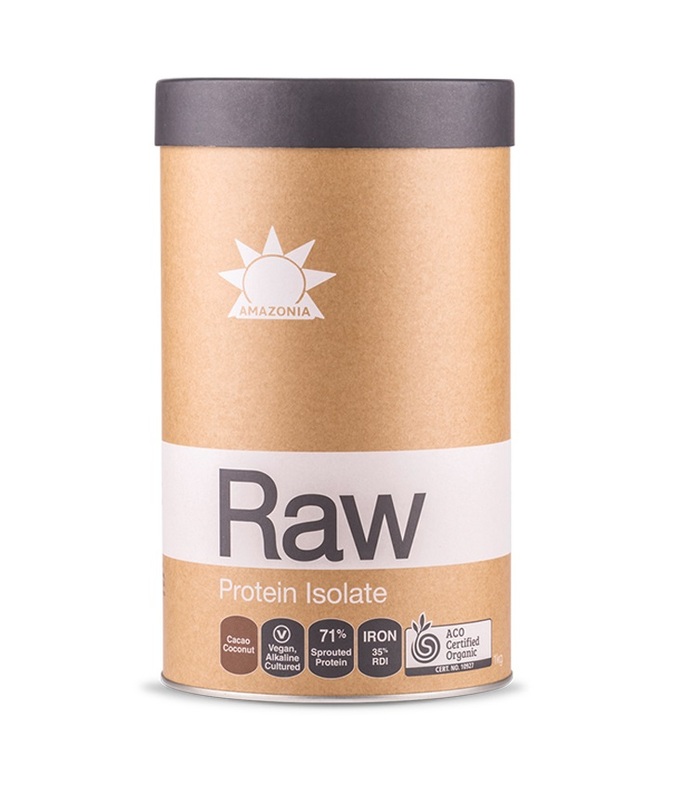 Amazonia Raw Protein Isolate is the first-to-market organic, raw, prebiotic, dairy-free protein with premium bio-availability. A gentle formula designed with optimum gut health in mind, enhanced with live digestive enzymes and prebiotics (food for good digestive bacteria) to support digestive balance, which assists with the breakdown and assimilation of protein for ultimate absorption. This unique protein contains almost 80% organic sprouted bio-fermented protein. A blend of 70% golden pea and 30% brown rice has been specifically formulated to providing an optimal complete amino-acid complex. 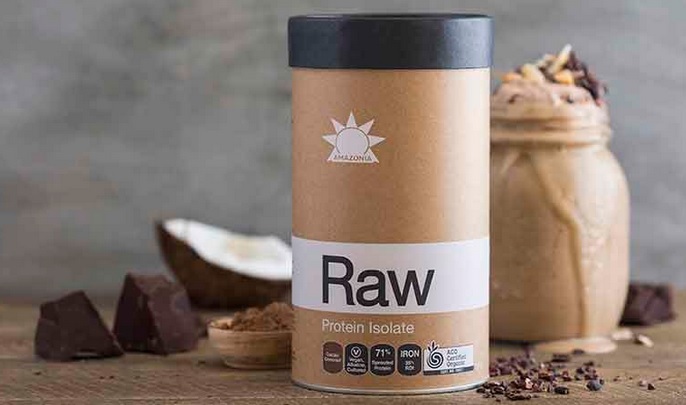 Raw protein isolate is an easy and delicious way to increase your daily protein intake while avoiding the digestive problems often associated with other protein powders. Your body will love you for it. Shine Brighter!